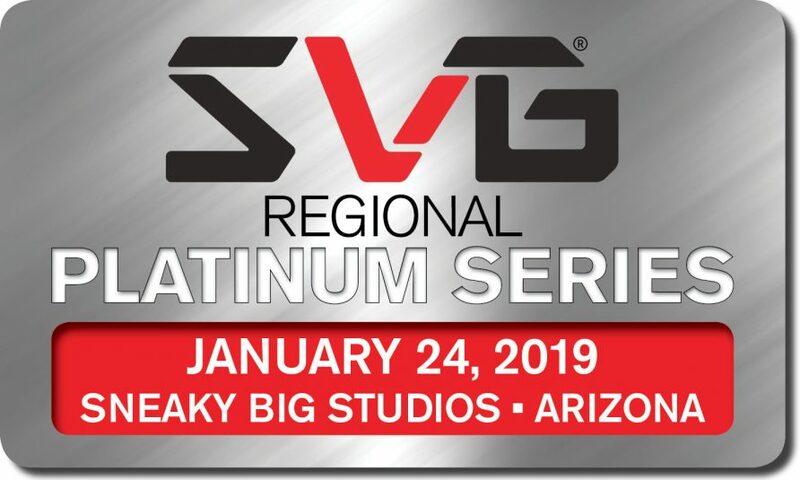 SVG’s Platinum Regional Series of events heads to Scottsdale, AZ on the afternoon of Thursday, Jan. 24 at Sneaky Big Studios in Scottsdale. Join SVG for a full tour of the state-of-the-art Sneaky Big Studios production facility, as well as a Q&A with Alliance of American Football Co-Head of Production Mark Teitelman, a panel focused on at-home production featuring execs from Fox Sports, Skycam, Sneaky Big Studios, and Turner Sports; and networking reception. CLICK HERE for more information. The panel – entitled “State of At-Home Production: The Evolving REMI Landscape” will address how the explosion of at-home productions in recent years has dramatically changed the face of the live-sports industry. While many networks and content creators are using their own facilities as the base for these at-home shows, third-party production facilities like Sneaky Big Studios are also playing a larger role in this evolving ecosystem. Moderated by Bill Hague, Magid and Associates, EVP, the session will feature panelists Chris Brown, Turner Sports, Senior Director of Technical Operations; Tom Carlisle, SNEAKY BIG, Senior Engineer; Michael Davies, Fox Sports, SVP, Technical and Field Operations; and Steven Wharton, Skycam, CTO. SVG Platinum Regional Series events foster communication, education, and networking among a specific regions’ broadcasters, pro franchises, universities, technology vendors, and other production entities. SVG Arizona is the latest edition of SVG’s series of regional meetups, which include SVG Rocky Mountain (Denver), SVG West (Los Angeles), SVG Florida (St. Augustine), and SVG Toronto. The SVG Platinum Regional Series is open to all end users (video-production professionals working for broadcasters, leagues, teams, universities, digital outlets, etc.) and SVG Platinum Sponsor companies. To register, email Andrew Lippe directly at [email protected]. Space is limited so register today!